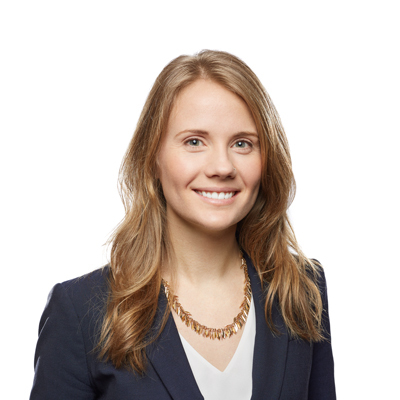 Anna Côté is an associate lawyer in Gowling WLG's Toronto office, practising in the areas of environmental law and land use planning law. She works with corporate, municipal, and Indigenous clients. In assisting her clients, Anna draws on her knowledge of Canada's dual legal systems, having completed law school in McGill's joint Common Law/Civil Law program. Anna equally applies her background in environmental planning and sustainable development consultancy to achieve creative and robust legal solutions. She has in-depth experience researching the political and environmental factors impacting brownfield remediation, and has worked with foreign governments in developing sector-specific sustainability projects. In addition, she leverages her insight into the practical effects of environmental planning regulation gained from interning with the Toronto and Region Conservation Authority and Evergreen Brick Works. Anna has considerable international experience, having studied in France and Singapore, participated in field courses in Europe and Costa Rica, and worked in the UK. She welcomes working with clients and on issues that span borders and cultures. Anna can assist her clients in both French and English.